Blessed are the people who become the vehicle to the inspired moments of the creative impulse in the language of their soul. World is transitioning into a global village where English language is taking the front seat but not in a traditional British, American or any other way. It is evolving with variety of different realistic cultural influences. The biggest influence on new English is of the technological culture and the dynamism of the young who are the creative compelling users of technology. The idiom and syntax are changing fast. Manifestation of the subtle thought imaging is taking over directly from the mental sound vibrations in a language where we have started expressing in symbols like smilyes, pictograms and info-graphics etc. This visual expression of subtle thought is the immediate outer expression of our mental imagery perhaps descended on us from that one ultimate sound vibration (Shabd Brahm). The entire generation is on the thresh hold of being more and more visual in their expression of thought. Underneath this visual explosion, English, with its new tools of expression is threading the beads of different languages so to speak, where the images of mind in their visual expression have started taking the lead. What language does imagination has? It is a question that eludes many of us. Whatever way our creativity gets stimulated, according to the researchers, as humans our thinking is mostly in images and is visual. To add, from generations, powerful imagery has always been an intrinsic part of any creative writing which actually surpasses the barriers of language and language becomes a medium of creative expression. Einstein said that he always thought in images, in his words, "I very rarely think in words. A thought comes, and I may try to express it in words afterwards,"
So what we have observed with any of our senses, we can imagine; what we imagine, we image. Traditionally in a country like Canada with its English predominance, linguistic diversity definitely breaks down the barriers to intercultural dialogue and promotes multilingualism as a fundamental tool for the prosperity of literature. Linguistic diversity also contributes to enhancing creativity and innovation at all levels of education and learning. There is a clear link between multilingualism and creativity because knowledge of languages gives access to other ways of thinking and to other cultures as well, reinforcing our creative capacities. This in turn has a positive impact on innovation. In the changing environment where English is the predominant world language, Hindi like many other languages of the world is also transforming. It is becoming richer because of cultural influences for both in its usage, vocabulary and expressiveness. English language definitely has a major influence on Hindi as well as it has on many other languages in many ways. 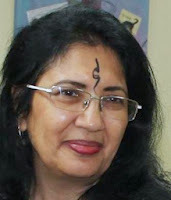 There are many remarkable Hindi literary blogs on the net. It is adapting very well to the transition and the idiom. This change is inevitable with technological progression where English is predominant. · After Chinese, Hindi is the maximum spoken language of the world. · Hindi has been one of the first languages which was picked up by Google when they started adding and introducing languages to the net for a wider usage of technology with languages. · Instant Google translations are available at hand for all languages. Hindi Writers' Guild, the organization I represent here, was formed in June 2008. 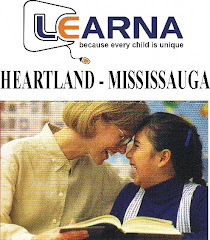 It isthe first of its kind multi-faceted organization in Canada. 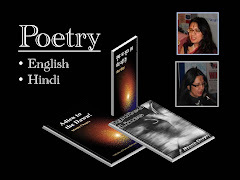 Its prime objective is to educate and increase public understanding of Hindi literature and the language, also to develop the writing skills in Hindi language. Organization promotes South Asian writers and literature through seminars, lectures and conferences etc. 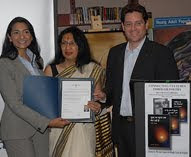 Computer literacy and promotion of book publication in Canada are the main intents of Hindi Writers’ Guild. दाग देते हैं प्रश्न -? my spirit in a straight line ? StarBuzzOnline.com -Toronto. LIFESTYLE & ENTERTAINMENT - . Published from Toronto & distributed all over GTA. I absolutely love your blog.. Great colors & theme. Did you develop this website yourself? Please reply back as I'm planning to create my very own site and would love to know where you got this from or exactly what the theme is named. Thank you!